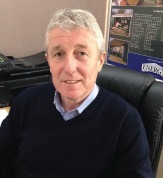 Chris launched his NIC management franchise in September 2013. Having previously worked as a supplier to the retail sector, predominantly working with shopfitters. As the work started to decrease Chris took the decision to move into the cleaning & support services industry and decided a franchise was the best option as he wanted the support and experience that it provides. Chris completed a comprehensive induction programme, including a residential course which covers all aspects of cleaning including safe operational methods and best practice. In addition to this, he also attended a full induction programme at NIC\’s Head Office covering all of the systems and procedures including Sales, Marketing, Operations and Finance. Chris is enjoying being his own boss and being able to plan his day around other commitments to ensure he achieves the right work/life balance.